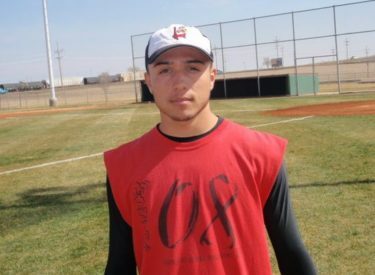 Liberal senior outfielder and pitcher Frederic Gomez is the Mead Lumber Athlete of the Week. Gomez was 4-5 in Liberal’s double header last week against Hugoton and was the winning pitcher in Liberal’s 15-10 win against the Eagles. Liberal hosts 10-1 Guymon Saturday at noon at the Liberal Baseball Complex. The Tigers beat Clayton 41-1 (not a typo) and 13-0 in Clayton Thursday.